So after rigorous testing of the TX750W, our staff felt that its plentiful number of connections, its ability to supply ample amount of power consistently over time, and its quiet performance makes it a very strong competitor against other units in its price range. With the hefty price tag however, it would be hard to justify its purchase for the moderate gamer. However for those who intend on overclocking their CPUs/GPUs, utilize the dual SLI graphics card system, and/or add a generous regiment of optical and hard disk drives, this unit (or at least something of this caliber) is an essential must. Although the Corsair is one of the better power supply units we have looked at, its price point might fend of the average Joe on a budget trying to build a decent gaming system. 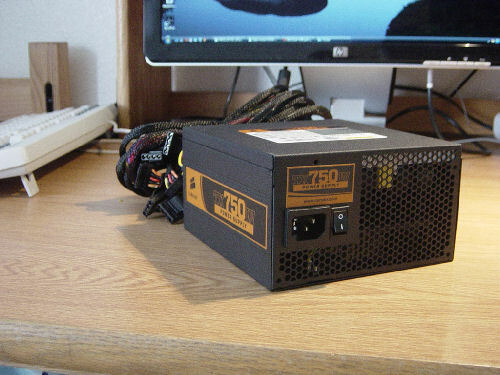 Nonetheless because of its stellar performance, we at SLCentral are giving the Corsair TX750W Power Supply Unit a rating of 8.0/10.